GeoSierra is a privately held corporation, involved in technological innovation in the earth sciences focused on providing more sustainable solutions for issues relating to the Earth, Energy and Environment. GeoSierra is based in Atlanta, GA, USA and London, England. For a brief background on the history of GeoSierra and its founding President - see Background and Publications. Expertise is directed with particular emphasis to more efficient and environmental sustainable solutions. To read about the history and development of advances in stimulating ductile formations that have led to our Permeable Reactive Barrier Design/Build services for groundwater remediation, our enhanced oil and gas recovery systems and our renewable energy systems - see History and Development. Or view our videos of how we construct subsurface PRBs for Groundwater Remediation including QA/QC technologies Concord PRB. Any PRB enquiries contact Deborah Schnell. To view our patents or patents pending, including hyperlinks to the USPTO database - go to Patents. GeoSierra owns the exclusive rights to all of the patents, including those with Halliburton, in the field of use outside oil and gas recovery, and owns the non-exclusive rights to these patents in the oil and gas recovery field of use, as does Halliburton. Since March 2015 our enhanced oil and gas recovery activities, involving steam, solvents or electric resistive heating, were put on indefinite hold due to low prices. However, as of Sept 2018 our enhanced oil recovery activities had been reactivated, only again to be put on indefinite hold as of December 2018. If you are interested in our stimulation of ductile oil & gas reservoirs, enhanced SAGD and electric EOR technologies for conventional and enhanced oil and gas recovery go to our Energy page. Our stimulation activities of ductile formations for oil and gas recovery have continued, especially as regards stimulation of such formations in both vertical and horizontal wells. These ductile formations include tight sands, tight clay rich turbidites, tight clay chalks and clay rich source rocks, most of which have had minimal recoveries due to the inability to stimulation production in these formations by conventional hydraulic fracturing. To view the importance of anelasticity on petroleum geomechanics, see the MIT Presentation. Conventional hydraulic fracturing relies on the injected fluid pressure to initiate the stimulation process, which in anelastic, i.e. ductile formations, fluid pressure alone does not induce tension and thus can not initiate the stimulation process. Instead, either short bulbous cavity expansions or horizontal fracs, contrary to the prevailing stress field, are created, both yielding zero production enhancement. On the other hand, GeoSierra's stimulation string induces tension in such formations, creating vertical permeable fracs for optimum production enhancement. See the ARMA Presentation that describes stimulating anelastic formations, both using conventional hydraulic fracturing and GeoSierra's self propagating inclusion stimulation technologies, resulting in significantly different stimulation and production enhancement outcomes. Our new electro-osmosis system, including seismic and motion sensors for activation, is ready for deployment in high risk hazards areas; such as, slopes, bridges, dams, including tailings dams, e.g. look at the extensive surface water ponding on the crest of the Brumadinho Tailings Dam just a month before it tragically failed at Vale's Corrego do Feijao mine. Rainfall over the past 5 months of 2018, was 3.6 times greater than the mean of the past 10 years. Video of the Brumadinho tailings dam collapse can be seen here. Upstream tailings dams, such as the Brumadinho tailings dam, are especially prone to failure due to an increase in the pore water pressure; such as caused by surface water ponding on the dam crest, by either dam instability or piping failure. Illustrations of such upstream tailings dam failures, due to a rise in pore water pressure, can be seen at dam instability and dam piping collapses. This ponding of surface water on the Brumadinho tailings dam is the most likely cause of the Brumadinho tailings dam failure. Surface waters infiltrate into the dam over time, thus significantly raising the dam's pore water pressures, which reduce the tailings mean effective stress, until liquefaction is triggered. Once liquefaction is triggered, in this case it is called "Static Liquefaction", the failure process following the liquefaction triggering is extremely dynamic and leads to flow liquefaction, as earlier seen in the tragic Aberfan disaster of 1966, and numerous tailings dams failures over the years, and more recently the Fundao tailings dam collapse of 2015, and now this recent tragic flow liquefaction failure, with its significant loss of human life and environmental damage. 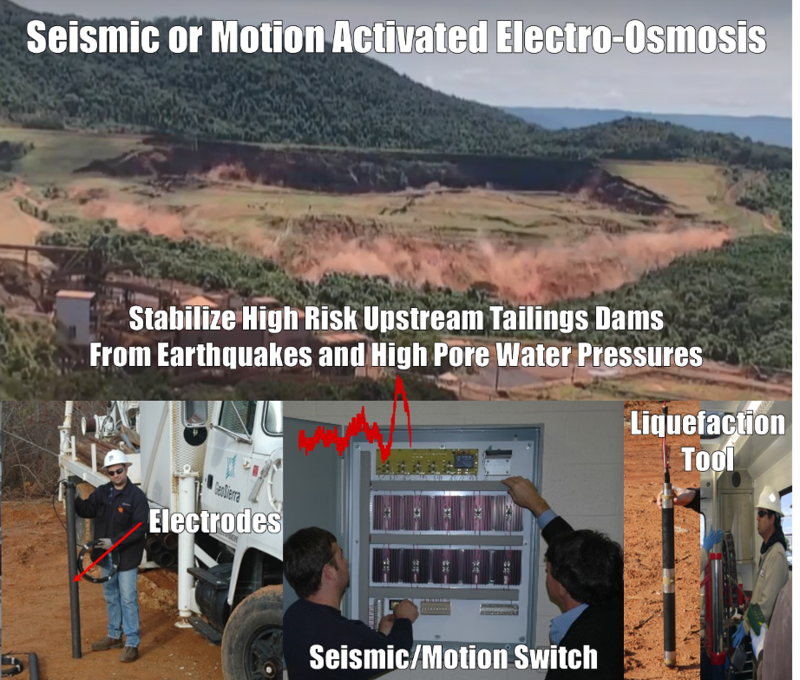 The electro-osmosis system, when activated, stabilizes the upstream tailings dam, during an earthquake event and/or due to excessive pore water pressures. Our new porous electrodes are constructed from calcined petroleum coke proppant as developed by Asbury Carbons in association with GeoSierra, for GeoSierra's ERG - electric resistive heating with gravity drainage for heavy oil and bitumen recovery. The electro-osmosis system can be powered continuously at low current to dewater and/or permeation grout the tailings, with automatic control to raise the current to stabilize the dam, due to sensed motion or excessive pore pressures. Following the dewatering/stabilization of the tailings by electro-osmosis, decommissioning work can begin. If the electro-osmosis stabilization system was not implemented prior to decommissioning, there are extremely high risks of tailings dam failure being initiated and induced by decommissioning activities. Video on GeoSierra's Liquefaction Prevention System, and video on GeoSierra's In Situ Liquefaction Assessment Tool. Any enquiries contact GeoSierra Staff. Our new energy focus has been concentrated on two initiatives; 1) Geothermal Energy and 2) Carbon Energy Storage, both in anelastic ductile sedimentary formations using supercritical carbon dioxide as the subsurface working fluid. The geothermal system provides on-demand electric power generation, while the carbon energy storage system stores intermittent renewable electrical energy for later peak electric power generation. Both systems are closed cycle and geologically store supercritical carbon dioxide. To utilize carbon dioxide as the subsurface working fluid requires a meaningful carbon tax on emitters to incentivize a carbon neutral society; otherwise the carbon dioxide is simply released to the atmosphere and not captured and stored. If such a carbon tax is not in place, the Geothermal Energy initiative will go ahead as a pilot using recirculated groundwater as the subsurface working fluid, while the Carbon Energy Storage pilot will be delayed until climate change initiatives force a meaningful tax on carbon emissions. August 2017 - Funding for the Geothermal Energy trial cell has been approved, subject to the bench scale performance of the lithium enrichment cell, for the final design, land and lease acquisition for construction in the 4th qtr 2018 in the Salton Sea Geothermal Field, Imperial County, California. The trial cell will extract groundwater geothermal brines, store and cycle supercritical carbon dioxide in the sub-surface for electric power generation, and extract lithium from the geothermal brines. Revenue for the trial cell is from four streams: 1) carbon dioxide storage, 2) electric power generation, 3) minerals extracted from the groundwater brine, primarily Lithium, and 4) sale of desalinated groundwater. The lithium enrichment cell uses alternating polarity electrodes constructed from calcined petroleum coke proppant as developed by Asbury Carbons in association with GeoSierra, for GeoSierra's ERG - electric resistive heating enhanced bitumen/heavy oil recovery process - see Electric EOR. The calcined coke proppant is coated with different compounds to produce the alternating polarity lithium and chloride ion selective electrodes, that extract the lithium ions from the geothermal brines and concentrates the lithium ions in a battery grade lithium concentrate solution. Without significant lithium revenue, baseload geothermal electrical power generation in southern California is not an attractive investment, primarily due to the lack of a meaningful tax on carbon emissions, the regulated electrical pricing is tied to the current natural gas price, and the low revenue/MWhr for baseload electricity. Using supercritical carbon dioxide as the subsurface working fluid, a large portion of the baseload generation can be provided as on-demand peak generation capacity, thus significantly increasing the revenue/MWhr. The performance of the lithium enrichment cell and the siting of the field trial in high lithium groundwater are both crucial for a successful field trial of the lithium enrichment process. 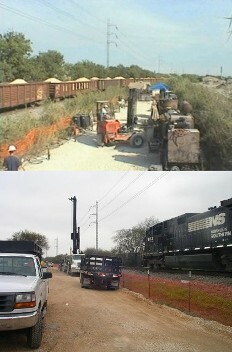 Iron Proppant Permeable Reactive Barriers - GeoSierra has pioneered the installation of trenchless subsurface iron proppant permeable reactive barriers (PRBs) for groundwater remediation and has installed miles of PRBs under design/build contracts at more than 30 sites throughout the USA. For any enquiries on design/build services of PRBs in the USA or other environmental applications of our technologies contact Deborah Schnell at dschnell@geosierraenv.com. Geothermal Energy in Hot Anelastic Ductile Formations - hot anelastic ductile formations can be stimulated with GeoSierra's Azi-Frac technology using non-invasive fluids creating highly permeable planes filled with a garmet sand proppant, without the potential for induced seismicity. The system is a closed cycle supercritical carbon dioxide thermal energy extraction process to provide a 24/7 electrical generation energy source close to existing infrastructure for both base and peak electricity supply. Net operating cost is comparable to the operating cost of a new natural gas fired electrical generation plant ignoring any carbon tax on the natural gas plant's carbon emissions. Net operating cost is operating cost minus carbon storage revenue and desalinated extracted groundwater income. To utilize carbon dioxide as the subsurface working fluid requires a meaningful carbon tax on emitters; otherwise the carbon dioxide is simply released to the atmosphere and not captured and stored. If such a carbon tax is not in place, then the system uses recirculated groundwater as the subsurface working fluid operating at a reduced efficiency and with no upfront carbon storage revenue from a cashflow perspective to offset the system's Capex. A geothermal pilot for on-demand electrical power generation is planned for construction late 2019 in Imperial Valley, CA. Carbon Energy Storage in Anelastic Ductile Reservoirs - geological carbon dioxide storage in legacy oil and gas fields, combined with a closed cycle peak electrical energy storage system and enhanced oil recovery by gravity drainage from the legacy fields. Efficient storage of renewable energy for later peak demand use. Net operating cost is comparable to the operating cost of conventional pumped hydro. Net operating cost is operating cost minus carbon storage and produced hydrocarbon revenue. To utilize carbon dioxide as the subsurface working fluid requires a meaningful carbon tax on emitters; otherwise the carbon dioxide is simply released to the atmosphere and not captured and stored. If such a carbon tax is not in place, then the carbon dioxide is not available for use and the pilot will be delayed until climate change initiatives force a meaningful tax on carbon emissions. A carbon energy storage pilot for peak load electrical power generation is planned for construction mid-2017 in Kern County, CA in anelastic ductile turbidite reservoir formations. Hydraulic Pulse Interference Testing - GeoSierra's proprietrary pulse receiver pressure transducers have a resolution of 1/10,000 psi and each transducer is individually calibrated to achieve an accuracy of 0.01 inches head of water, enabling the source and receiver wells to be 1,000's of feet apart. The pulse interference tests provide a 3D directional characterization of porous and fractured media, the geometry and integrity of impermeable barriers, and the geometry and hydraulic characteristics of permeable propped inclusions, natural and artificial propped and unpropped fractures. GeoSierra's in-house software of type curve and inversion modeling enables characterization parameters and geometries to be quantified. Subsurface Real-Time Geometry Imaging - GeoSierra's active resistivity imaging technology provides real-time geometry mapping of subsurface injected proppants and fluids and also can be used to directly evaluate the barrier containment integrity of impermeable barriers by quantifying any leaks into or out off contained zones. Inverse software computes the injected 3D image of injected proppants and fluids from subsurface and suface high impedance receivers in an incremental time forward algorithm using injected volumes and flow rates to provide a high resolution 3D image of the subsurface injected geometry. Earthquake Mitigation by Electro-Osmosis - quake activated seismic switch DC energizes graphite electrodes prior to the arrival of the earthquake shear wave, thus stabilizing a slope, dam and structure, or minimizing liquefaction beneath a structure, or minimizing destructive ground motion by seismic isolating the structure from the earthquake induced displacements. DC power source is independent of the grid and of sufficient capacity to energize and stabilize a large structure or slope, during a very large earthquake including pre and post shocks. Electrical Resistive Heating with Gravity Drainage - our subsurface in situ ERG system for enhanced heavy oil and bitumen recovery is a viable in situ alternate to surface mining of oil sands. Minimal site disturbance, no tailings, no water usage, reduced carbon footprint, significant less Capex, and an enormous reduction in environmental impact. The technology is also targeting the no man's land, i.e. too deep to mine and too shallow for SAGD. View the ERG Video. An additional advantage of the in situ ERG recovery system is the use of off-peak electricity from the grid and the utilization of excess renewable electrical energy. As of March 2015, our heavy oil ERG pilot was put on indefinite hold due to the low price of Kern River crude. Earthquake Mitigation by Electro-Osmosis - to view our earthquake defense systems utilizing our electro-osmosis and Azi-Frac™ technologies, go to Seismic or view the Alaskan Way Viaduct or view Tokyo Bay or view the earthquake videos on YouTube or g+. 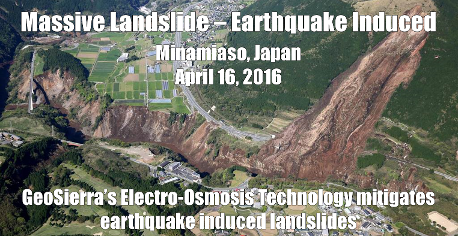 See the videos Earthquake Liquefaction Prevention, Liquefaction Assessment Tool and Seismic Base Isolation. In Situ Tool for Liquefaction Assessment - to view our in situ liquefaction tool go to Seismic. To view the ASCE paper of Hocking & Hebner (2006) go to the ASCE's library website at ASCE. See the video Liquefaction Assessment Tool. Tight Ductile Conventional Reservoirs - turbidite reservoirs (low permeability, ductile formations), light oil, poor recovery of ~5% due to the inability of conventional hydraulic fracturing to enhance production. GeoSierra's stimulation technology will raise recovery to >35%. Go to Stimulation. Enhanced Steam Assisted Gravity Drainage (SAGD) - reduced Steam Oil Ratio (SOR) of >50%, i.e. >50% reduction in energy use, capital requirements, carbon footprint and water usage. Unimpaired performance even in poor geology. Go to Enhanced SAGD. Electric Resistive Heating with Gravity Drainage (ERG) - As an alternative to surface open pit mining of oil sands. No tailings, no water usage, reduced carbon footprint, and an enormous reduced environmental impact. Compared to conventional in situ SAGD, >80% reduction in capital, reduced energy use, reduced carbon footprint and zero water usage. Recovery from stranded reserves that are too shallow, too close to outcrop, poor quality or lack of caprock or too deep for SAGD. Go to Electric EOR. Carbon Energy Storage - geological carbon dioxide storage in legacy oil and gas fields, combined with a closed cycle peak electrical energy storage system and enhanced oil recovery by gravity drainage from the legacy fields. Efficient storage of renewable energy for later peak demand use. GeoSierra's carbon energy storage system in ductile turbidite reservoir legacy oil and gas fields is in final feasibility assessment study for field pilot deployment mid-2017 in Kern County, CA. Revenue for the Carbon Energy Storage system comprises of carbon storage, peak electrical energy supply and produced hydrocarbons. Net operating costs are comparable to conventional pumped hydro, but with a significant lower capital cost per MW stored. Net operating cost is operating cost minus carbon storage and produced hydrocarbon revenue. See the brief Video. Go to Energy Storage. Geothermal Energy in Hot Ductile Formations - hot ductile formations can be stimulated with GeoSierra's Azi-Frac technology using non-invasive fluids without any potential for induced seismicity. The system is a closed cycle carbon dioxide thermal energy extraction process to provide a 24/7 electrical generation energy source close to existing infrastructure. GeoSierra's geothermal electrical power generation system in enhanced hot ductile low perm formations is in final feasibility assessment study for field pilot deployment mid-2017 in Imperial Valley, CA. Revenue for the GeoThermal Energy system comprises of carbon storage and electrical energy supply, both base and peak load demand. Net operating and capital costs are comparable to a new 2016 natural gas fired electrical power generation plant, at US$ 2016 natural gas price and ignoring any carbon tax on the natural gas power plant emissions. Net operating cost is operating cost minus carbon storage revenue and desalinated extracted groundwater income.Go to Geothermal. GeoSierra's wholly owned subsidary, GeoSierra Energy is the owner of royalty rights and oil and gas and geothermal leases. Stimulation of Ductile Formations: Enhanced oil and gas recovery of tight ductile reservoir formations. Multiple azimuth inclusions installed by well stimulation technology requiring inclusion initiation to enable the successful self propagating inclusion in ductile formations using non-invasive fluids. 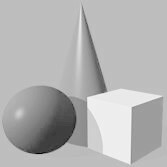 GeoSierra's geomechanics knowledge base provides design requirements for the stimulation solution based on formation geomechanical properties. GeoSierra's experience, expertise and knowledge base of formation properties enables GeoSierra to provide stimulation design and execution guidance. Without this experience and knowledge base an operator is blind on how to design and execute a self propagating inclusion stimulation in a ductile formation. Attempting to hydraulically fracture a ductile formation conventionally through perforations, typically results in a fracture not being initiated, and either results in the formation of a cavity expansion in a weak formation, or a short horizontal inclusion, contrary to the prevailing stress state, in a stronger formation. Conventional hydraulic fracturing of these ductile formations does not excite the least energy dissipating mechanism, and often results in zero enhancement of well productivity. GeoSierra has special stimulation casing systems and downhole stimulation tools, and using non-invasive fluids can place a vertical planar inclusion in these ductile formations from either a vertical or horizontal well. Retrofit stimulation systems for existing wells are available. This technology is not depth limited. 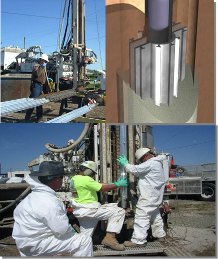 Subsurface Barriers: GeoSierra has pioneered the installation of trenchless subsurface permeable reactive barriers (PRBs) for groundwater remediation and has installed miles of PRBs at >20 sites throughout the USA. The same technology is used to create a subsurface impermeable barrier, as a freeze wall, or impermeable by grout injection or the injection of a special swellable proppant. The imperable barrier can provide containment of hazardous wastes or as a fluid loss barrier for thermal enhanced oil recovery (EOR) using steam, such as in SAGD (Stream Assisted Gravity Drainage) operations. Visit our USA environmental PRB sublicensee at www.geosierraenv.com for information and costing of a PRB in the USA. Active resistivity monitoring during real time as the PRB installation proceeds, ensures the PRB is constructed as designed. To view how we construct subsurface PRBs see our Video or view our Case_Studies. For a list of volatile organic compounds destroyed by a zero valent iron PRB and metals precipitated amd immobilized see VOCs_Metals.